CM13 (CyanogenMod 13) is the customized Android Marshmallow version available for many devices developed by many developers across the world. At this point of time the CM13 Marshmallow ROM seems to be older because there are many Android Nougat based UNOFFICIAL CyanogenMod 14 Nougat ROMs available for many devices and OFFICIAL CM14.1 Nougat ROMs available. But it’s not entirely true because many new devices like Galaxy S7 Edge for example, were ported to CM13 Marshmallow and then the CM14 version came. CyanogenMod 13 code base is more or less stable as compared to CM14 Nougat code base, which is the primary reason for developers even today to port the CM13 on various devices. Cyanogen Inc is shutting down and hence the CyanogenMod website is taken down, so there will be no OFFICIAL CyanogenMod updates for any device and hence there will be no further CyanogenMod development will take place. So, the continuation of CM13 is here as the LineageOS 13 ROMs list. Unofficial CyanogenMod ROMs might still be built by individual developers similar to that we already have currently: unofficial CM14 ROMs but you need to understand that the CyanogenMod ROM will not be enhanced further, meaning there will be no CyanogenMod 15 in future because CyanogenMod will be continued as Lineage OS rather it will come as the LineageOS 15 ROM. For more latest builds of LineageOS, stay tuned to the following link to get all Lineage OS 14.1 Nougat ROMs list or the LineageOS 15 Oreo ROMs list. 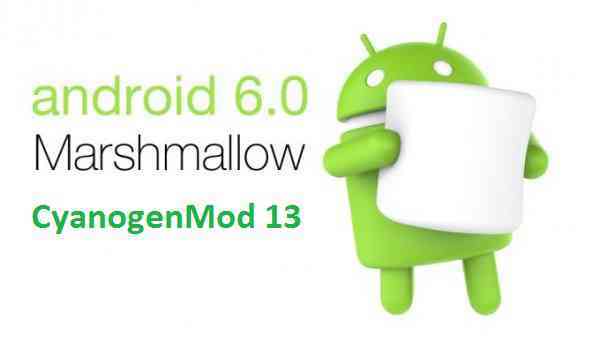 Here we have compiled a list of UNOFFICIAL and OFFICIAL CM13 (CyanogenMod 13) Marshmallow ROM device list, download and update guide. It is possible that there might be many CM13 ROMs available for many devices but we might not have the details with us but will be updated as soon as possible. If you want CyanogenMod 13 for your own device then just keep an eye on this post or the CM14 device list post for CyanogenMod 14 update. Ola, seria possivel adicionar o dispositivo galaxy win GT-I8552 /B a lista de rom pois gostaria de de poder atualizar meu aparelho com um android mais novo, desde ja agradeço. Can You Please add ROM for Samsung Galaxy E7?